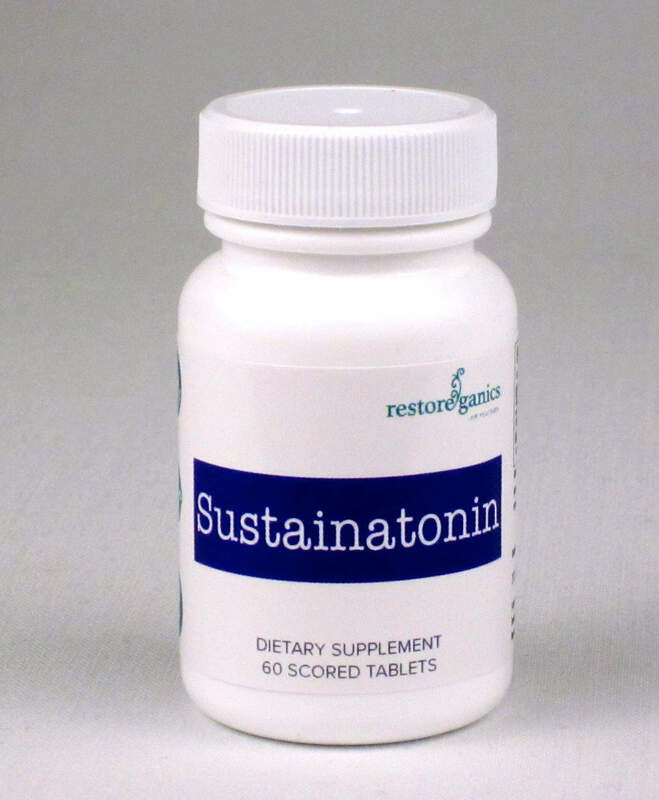 Sustainatonin provides 6 mg of melatonin in a sustained­ release tablet. The hormone melatonin is secreted by the pineal gland, and is a key player in regulating sleep and the body’s daily sleep­ wake cycle. Sustainatonin can be ideal for insomnia and other sleep disturbances, and can also ease jet lag. Due to its antioxidant activity, Sustainatonin can act as an effective scavenger of free radicals; it may also support a healthy immune and stress response. Various factors may cause melatonin levels to become low, such as inadequate dietary intake of its precursors (tryptophan and serotonin), normal aging, insufficient exposure to natural light, and certain medications. Made with non­ GMO ingredients. Scored tablets. EnzyRestore is comprised of a balanced blend of digestive enzymes along with betaine HCL to support optimal digestion of proteins, fats, and carbohydrates. This product contains the novel protease DPP IV (dipeptidyl peptidase IV), which helps break down casomorphin (from casein) and gluteomorphin (from gluten). EnzyRestore also includes the enzyme lactase, which helps break down lactose (from dairy). The use of EnzyRestore before meals may be helpful in reducing or eliminating gas and bloating, and it may also help ease constipation. Made with non­ GMO ingredients. Vegetarian capsules. Ultimate Pea Protein is an organic, natural pea protein isolate offering a high level of functionality and nutritional benefits. Ultimate Pea Protein is a vegan protein with high bioavailability and excellent digestibility. The raw materials, certified organic North American­ grown yellow peas, are produced via a natural fermentation process rather than a more widely used process involving chemical solvents. Ultimate Pea Protein contains no sweeteners and mixes easily in any beverage of choice. Made with non­ GMO ingredients. 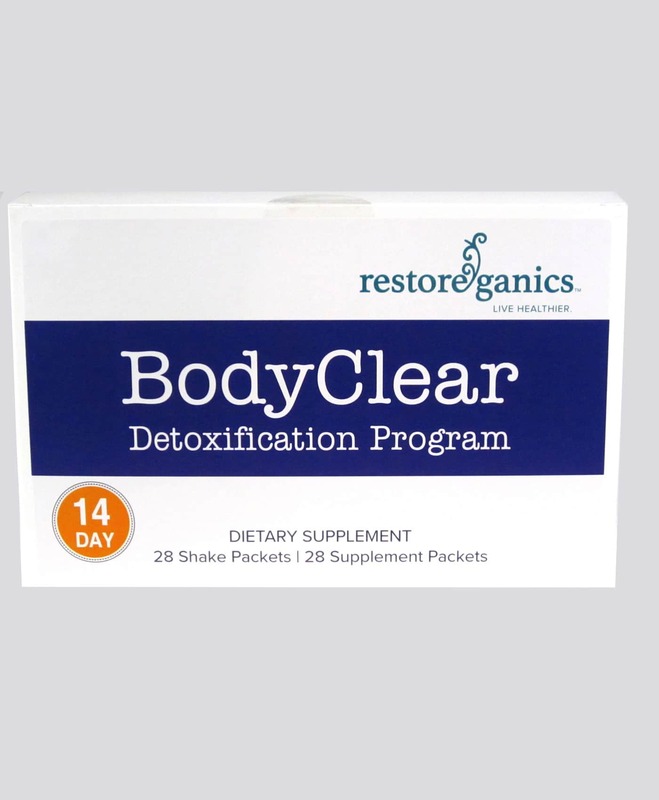 The BodyClear Detoxification Program is a science­-based cleansing and detoxification program with select nutrients and herbs that are specifically designed to support balanced phase I and II detoxification. With the BodyClear Detoxification Program, liver function and waste elimination is optimized, often leaving people feeling noticeably more refreshed and energized. The 14-day program is designed for easy success, with a step­-by­-step guidebook as well as individual shake and supplement packets. Made with non­-GMO ingredients. 28 BodyClear single­-serving functional food shake packets containing 15 grams of protein per serving from non­-GMO, North American grown yellow peas. Dairy­- and grain-free. Aminos+ is useful as a general supplement for individuals whose diets are insufficient in quality protein, such as athletes who require additional amino acids to maintain or achieve greater lean body mass, and for individuals who have confirmed amino acid deficiencies. Aminos+ provides a mixture of essential amino acids in the free form, rendering them more immediately available for absorption. Made with non­ GMO ingredients. Vegetarian capsules. AntiOx+ is a powerful antioxidant formula derived from a unique combination of herbs and spices, along with other innovative antioxidant compounds. These ingredients were chosen due to their ability to maintain the function and integrity of both water­ based and lipid­ based body structures and compounds, including enzymes, proteins, cell membranes, and LDL cholesterol. Made with non­ GMO ingredients. Vegetarian capsules. Balanced Electrolytes is a complete and balanced formula to help promote optimal electrolyte levels. In addition to potassium, sodium, chloride and magnesium, the main electrolytes found in the body, Balanced Electrolytes contains D­ribose, because of its importance in healthy cardiac function, exercise recovery and energy production. It also boasts the nutrient taurine, which helps to regulate cellular electrolyte flow. Balanced Electrolytes also contains vitamin C, quercetin and citrus bioflavonoids. An optimal dosing regimen is to add two teaspoons of Balanced Electrolytes into water or any other beverage. Balanced Electrolytes has a delicious natural lemon­ orange flavor, is sugar­ free, and is naturally sweetened with stevia. Made with non­ GMO ingredients. Ingredients: vitamin E, medium chain triglycerides (MCT) and lecithin, without the use of potentially harmful surfactants. Made with non­ GMO ingredients. Softgels. HerbAdrenal is a glandular­ free combination of herbs and nutrients synergized to help restore and balance adrenal function. HerbAdrenal is designed to promote healthy cortisol activity, hypothalamic and pituitary balance, and catecholamine production. It can be powerfully effective for insomnia and other sleep disorders, anxiety and chronic stress states, as well as fatigue and a general lackluster state. Made with non­ GMO ingredients. HerbImmune is an herbal formula that is designed to support healthy immune system function. It contains a select combination of herbs that have been found to assist normal natural killer (NK) cell activity and the balance of cytokines, which are the regulatory proteins released by immune cells as part of a normal immune system response. The herbs in this formula are standardized to contain optimal and consistent amounts of the most active ingredients. Vegetarian capsules. Magnesium (citrate/malate) is a highly bioavailable magnesium chelate, which supports the metabolism and utilization of carbohydrates, amino acids and fats for energy. NapCaps is a blend of botanicals, nutrients, and neurotransmitter precursors designed to support quality, restful sleep. By providing nutritional support for calm brain activity, NapCaps helps promote the natural ability to fall asleep and stay asleep. Key ingredients include botanicals that support nervous system function, PharmaGABATM (a proprietary form of GABA), L­theanine, melatonin, 5­HTP, and pyridoxal­-5­-phosphate (activated form of vitamin B6). Made with non­ GMO ingredients. 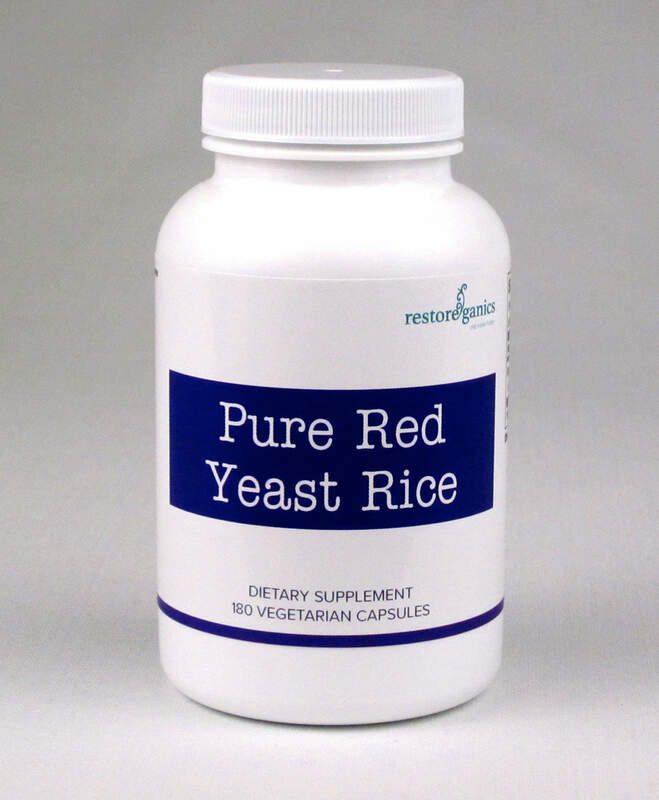 Pure Red Yeast Rice is the product of yeast (Monascus purpureus) containing several compounds collectively known as monacolins, substances that have been shown by clinical studies to support healthy blood lipids. Pure Red Yeast Rice is grown in the US and it is USDA certified organic. Testing has confirmed that there are undetectable levels of the undesirable citrinin in our Pure Red Yeast Rice, and substantial levels of naturally­ occurring monacolin compounds, especially monacolin K. Pure Red Yeast Rice may support the health of the arterial lining and help reduce oxidative stress and inflammation. Made with non­ GMO ingredients. Vegetarian capsules. Super Multi without Iron contains a blend of high quality nutrients, including vitamin E as high gamma mixed­ tocopherols, along with the Nature Folate TM blend of active isomer naturally­ occurring folates, and TRAACS® true amino acid chelate minerals, formulated into an exceptional daily multivitamin. Made with non­ GMO ingredients. SuperMinerals is a strategically balanced combination of minerals. This iron­ free product utilizes the finest chelated minerals from Albion Advanced Nutrition for optimal absorption. Made with non­ GMO ingredients. Vitamin D 2000IU is a concentrated, highly bioavailable and pleasant­ tasting vitamin D liquid formulation. A natural emulsion technology allows for the production of 2000IUs per drop that can be added to any beverage, or taken directly. Vitamin D 2000IU liquid contains only naturally­ derived, non­ GMO ingredients that are free of preservatives and synthetic surfactants.